Augusta is a town on the south-west coast of Western Australia, where the Blackwood River emerges into Flinders Bay. 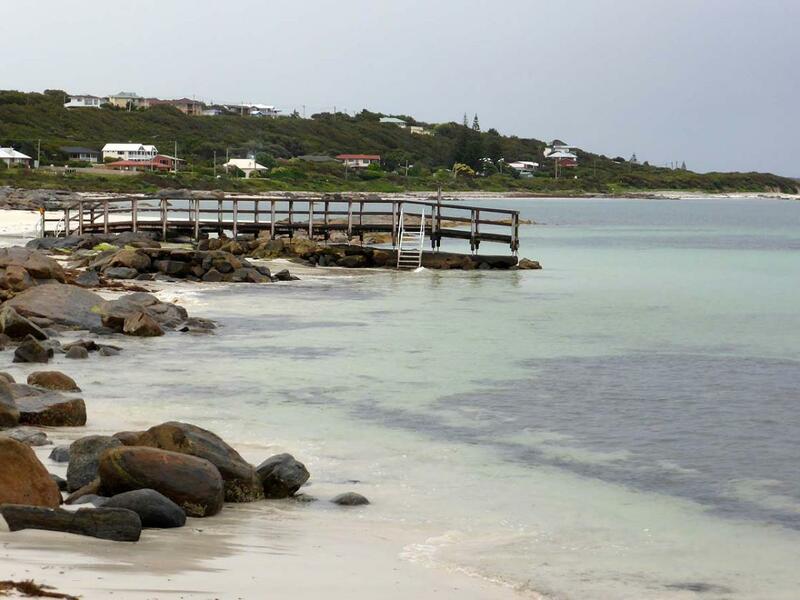 It is the nearest town to Cape Leeuwin, on the furthest southwest corner of the Australian continent. In the 2001 census it had a population of 1,091; by 2011 the population of the town was 1,292 (excluding East Augusta). Augusta is a small town on the south west corner of Western Australia. Cape Leeuwin Lighthouse is situated at the most south westerly tip of the Australian mainland - where the Indian and Southern Oceans meet. There are tours of the lighthouse in which you climb the many steps to the top for great views of the coastline to the west and north of Augusta. If you are lucky you will see humpback whales migrating up the coastline. We visited Augusta on a cold rainy, and very windy day but it didn't ruin our experience - apparently it is always windy in this part of the world as you can see by the way the trees and bushes have grown. It is also a great spot for fishing and is very popular during the warmer months. We will head back one day to stay and explore the area further. have you been to Augusta? I was only in Augusta for a night but it was very pleasant. The town seemed to have a lot to offer and I wish I had more time to spend there. We did have time to visit the light house and a few beaches around the area which were beautiful - even if it was overcast. We stayed in the Augusta Hotel Motel and it was very nice and clean. The restaurant was beautiful! Augusta WA - comments & tips by RvTripsRvTripsI was only in Augusta for a night but it was very pleasant. The town seemed to have a lot to offer and I wish I had more time to spend there. We did have time to visit the light house and a few beaches around the area which were beautiful - even if it was overcast. Explore Augusta with RvTrips and find out where to stay, what to do and what to see. Helping caravan, motorhome and camper owners have a great holiday.